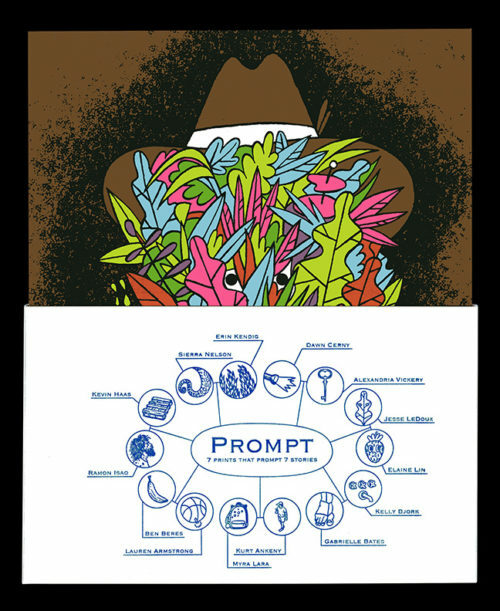 Prompt is a print pack that contains 7 reprinted drawings or paintings from local fine artists (multi-color screen printed or Risograph printed,) and on the flipside of each is an original comic, poem, or prose piece written in response. 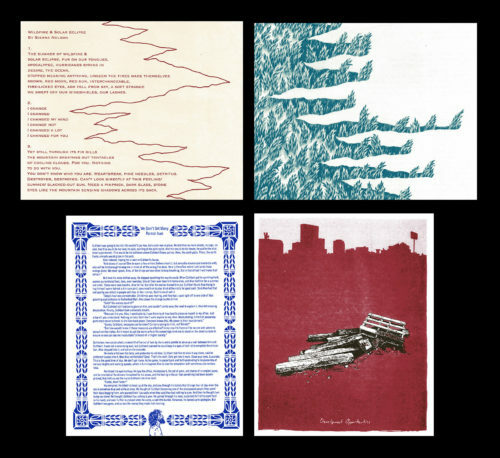 These 7 prints are bundled with a letterpress band and bagged in plastic sleeve. $25 in our shop. 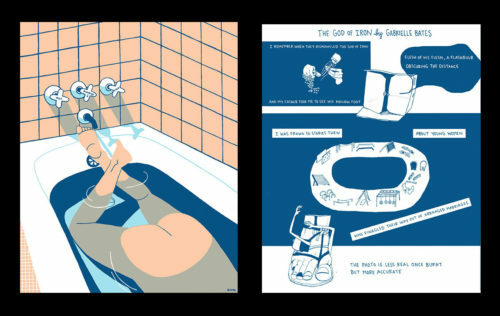 Artists: Erin Kendig, Dawn Cerny, Jesse LeDoux, Kelly Bjork, Kurt Ankeny, Ben Beres, Kevin Haas; Poets: Sierra Nelson, Gabrielle Bates; Comic artists: Alexandria Vickery, Myra Lara, Lauren Armstrong, Elaine Lin; Writers: Ramon Isao. Silkscreen printed by Strychnine Frosting. 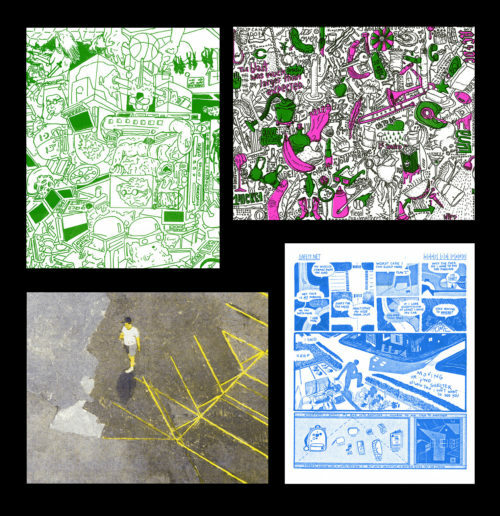 Risograph printed by Paper Press Punch. Letterpress printed at Cornish College of the Arts. Print intern Morgan Elrod. Cover Design by Eroyn Franklin. Published by Short Run Micropress.